On Thursday night of last week, Governor Christie signed the FY 2017 Budget into law. Overall, the final $34.5 billion budget included no new tax increases, and a number of key provisions for the business community. The FY 2017 Budget marks the beginning of the new fiscal year, which began on Friday. However, there is still work to be done by the Legislature and the Administration this summer, in regards to the Transportation Trust Fund (TTF)/ tax relief package. The Senate and Assembly recessed for the Fourth of July weekend without agreement on a plan that would generate revenue to improve the state’s infrastructure while at the same time providing tax relief. Presently, there are two competing plans being considered. Both plans would increase the gas tax by approximately 23 cents per gallon. The bipartisan Senate plan includes the elimination of the estate tax, an increase in the pension and retirement income tax exclusion, a charitable contribution deduction on the state income tax and an increase in the Earned Income Tax Credit. The bipartisan Assembly plan, which is backed by Governor Christie, would reduce the state sales tax by one percent and includes the pension and retirement income tax exclusion. NJBIA issued a press release on Thursday urging all sides to continue discussions and saying that estate tax relief must be part of any final plan. Late Thursday night the Governor issued an executive order requiring plans for an orderly shutdown of Transportation Trust Fund projects to be prepared by 11:59 p.m. on Saturday, July 2, 2016, and that ongoing TTF work must cease according to those plans. As far as potential summer legislative activity on this issue, the Senate has legislative committee meetings scheduled for July 11 and July 14 and a voting session set for August 1. The Assembly has yet to release a schedule. 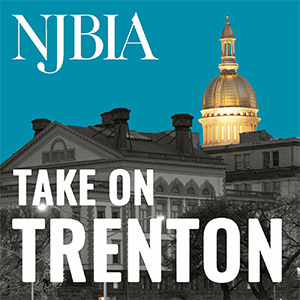 NJBIA President and CEO Michele Siekerka will be conducting a member conference call on Wednesday July 6 at noon to bring you up to date on the TTF-tax relief discussion. Please email Sandi Zelis szelis@njbia.org for the conference bridge information. The rest of the repayment schedule remains the same as passed into law in January. On Thursday, June 30, Governor Christie signed A-3617/S-2390, which would extend the period that developers may use previously approved building permits from state, regional, county and municipal agencies. NJBIA advocated for, and secured a $1.5 million line item to create a statewide asset database on the research and resources available at New Jersey’s higher education institutions. The online portal will promote the state’s academic assets in order to attract high-tech companies, and support the state’s innovation economy. New Jersey has strong research based industries, outstanding academic institutions and a supportive state government. Collaboration amongst these assets will allow New Jersey to unleash the economic potential of our higher education institutions. The FY 2017 Budget also marked the third year that funding has been included for a County Vocational School District Partnership Grant Program. NJBIA originally advocated for this grant program, which encourages vocational schools to partner with local high schools and county colleges to create career programs in existing facilities. The program will receive $1 million. Ultimately, this will expand access to quality career and technical education programs, give more students the skills needed to launch a successful career and ensure that employers will have a skilled and trained pipeline of employees to hire from. Our member companies tell us that they have difficulty finding candidates with the right combination of technical and employability skills, and that a true “skills gap” exists. Fortunately, a quality career and technical education provides students with the skills and training they need to be an effective employee in the workforce. Contains $2.3 billion less in discretionary spending than the fiscal year 2008 budget. For a copy of Governor Christie’s press release, please click here.